Thread in 'General Discussion' started by Toothpick, Feb 5, 2019. "If guns kill people then pencils misspell words, cars drive drunk and spoons make people fat." Baldilox, Mr. Goodbar, LouHill and 2 others like this. mfoster, Baldilox, 500mag and 10 others like this. Lol he didn't just beat it, he obliterated it! allamericaninfidel, jlangrill454lsx and Toothpick like this. I have seen two that I will never forget..One was ah ah ah oh yah, It was on the front tag of a porche and a hot blond was driving and slowing down drivers...It was the Ocean Spray logo wave, and the caption said,,,If it swells ride it! mfoster, Baldilox, Gunanddoglover and 1 other person like this. Eagles soar but weasels never get sucked into jet engines. My personal favorite. olerambler and Toothpick like this. 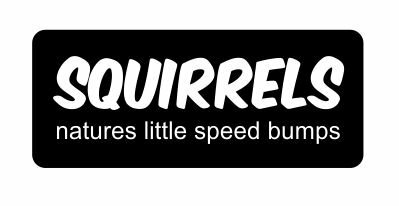 Another one I saw but wasn’t a bumper sticker, it was one of those frames that goes around your license plate. The quote was from the state law that says, “Keep right except to pass.” This was on a high end black BMW with super fast acceleration — the guy was weaving around & passing everybody. I was only able to read it because we both had to wait at a red light. Gunanddoglover, allamericaninfidel, LouHill and 2 others like this. Slyhall, Baldilox, 500mag and 7 others like this. BEST PLACE FOR AR500 TARGETS?